Does God breathe fire? Yes, God does! At Pentecost we celebrate just one such occasion. But in order to fully understand it, we need to step back for a moment and realize, that many words and expressions for inner or higher spiritual motions and emotions were originally physiological metaphors. They were derived from outward observations of our bodies and their reactions. People can hardly notice it in their own language, but it cannot be missed if we learn a new language. Take for instance the Hebrew word for anger; it simply means “a nose”. Often it is expressed in fuller form as “a hot (or flaming) nose”. It clearly harkens back to agitated breathing associated with strong emotions. The same idea is expressed in Greek language - THUMOS simply means "heavy breathing" and among other things it often translates as anger. Our English “anger” takes a little different approach, but leads to a similar end because it means “painfully restricted, narrow (breathing)”. If, then, the Holy Spirit comes with flames of fire, it is an indication of a divine anger, indignation over injustice, and zeal for what is just and right. And almost instantly these metaphors of “hot nose” and “fiery breath” are complemented by another set of similar but opposite physiological metaphors. While patience in English is “the ability to withstand hurt”; in biblical Hebrew it literally translates as “long nostrils” certainly talking about calm steady breath. In the New Testament one of the gifts of the Holy Spirit in New Testament Greek is called MAKROTHUMIA which means long (or deep and calm) breath which is such powerful indication of resolute endurance. On Pentecost God indeed breathes the fire of indignation over injustices in this world, but with the same breath presents a gift of patience, endurance and calm, long deep breath of endurance and magnanimity. On Pentecost we celebrate this gift in all its complexity, a burning indignation as well as a tenacious gentle breeze which has power to blow away all pains and soothe all hurts. And for those who read as far as here: Interesting theory of development of physiological hypostases and metaphors and their participation in producing individual consciousness and current human mentality as we know it, was offered by Julian Jaynes in his 1976 book The Origin of Consciousness in the Breakdown of the Bicameral Mind. Our Church is located amid theatrical world of the Upper West Side, thus I have for you this allegory from the realm of the muse Thalia. Take for instance William Shakespeare’s play Julius Caesar. Just suppose that for generations this play was the only source of information about early imperial Rome. For many years there was no problem, because people were not concerned about history and they appreciated Shakespeare for presenting them with valuable psychological and spiritual models. Then people started to care for history and historical truth and soon discovered inconsistencies and outright anachronisms in this play. Some rejected it, others ridiculed it, some stubbornly insisted on its literal interpretation (by the way according Shakespeare, in another play, my land-locked homeland of Bohemia supposedly lies by the sea!). Finally discoveries in London and Rome set the score right. Roman history began to be studied from Latin sources, and Shakespeare was seen within its Elizabethan context and enjoyed for all its mastery. This Sunday I want to speak about the same thing in the realm of faith and theology. The last three or four decades have brought about a great expansion in our understanding of the early history of our Judeo-Christian faith. The Biblical patriarchs (as well as matriarchs), the Exodus, the Sinai origins of the Law, even the unified monarchy of David and Solomon cannot be any longer perceived as historical realities as they once were. The Bible and our faith are finally being liberated from the shackles of the ancient past and literalism. And it is a great liberation. We can finally enjoy the Bible and our faith as they were originally intended in its richness, diversity, inconsistence, spiritual mastery and creativity. This Sunday I want to share with you these exciting developments. Hopefully I will be also able to outline some great and liberating possibilities. There are many important lessons in history; there is even more transformative richness in the Book of books. And for those who read as far as here two examples of biblical anachronisms. 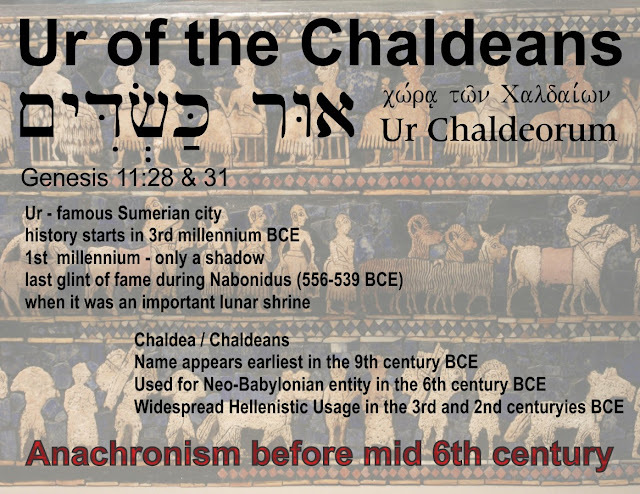 Abram/Abraham is said in Genesis to come from "Ur of the Chaldeans" this compound name (especially the ethnic attribute) is a clear example of biblical anachronism. 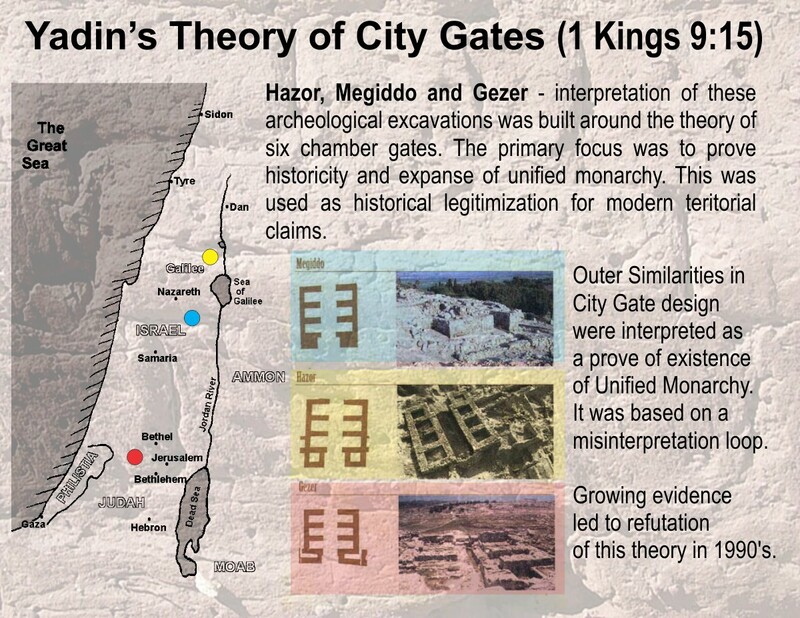 At the time of Chaldeans the ancient city of Ur was virtually nonexistent. This description of Abram/Abraham original home suggests this part of the story originated earliest in 6th century BCE but most likely in the Hellenistic times. 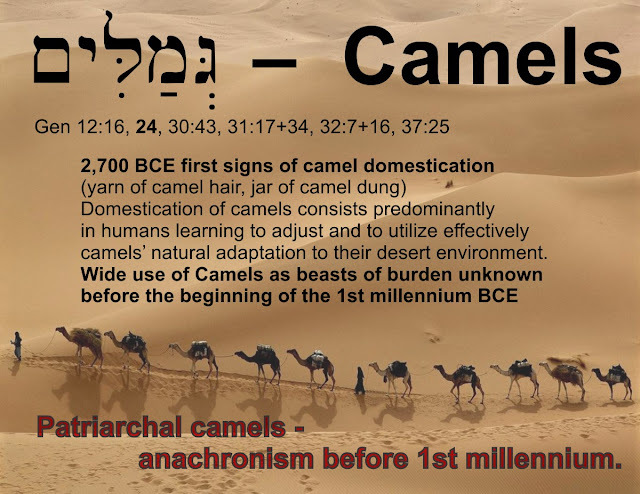 In the book Genesis, several biblical patriarchs are reported to use camels as domesticated animals of burden. This is another clear example of biblical anachronism. Camels were not used in this capacity in the epoch to which biblical patriarchs are normally situated. 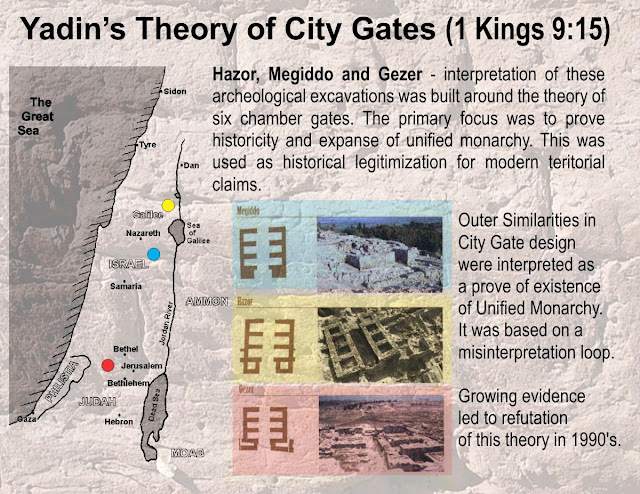 And one example when traditionalist (and ideologically tainted) interpretation of history and archeology attempted to misrepresent findings - Biblical reading this Sunday will be about these gates. Does the LORD have a womb? It might seem like a silly or even offensive question, but it is not. This very fact is subliminally present in some powerful Old Testament pronouncements; it lies at the core of Old Testament theology; yes, it is woven into the very fabric of the Hebrew language. 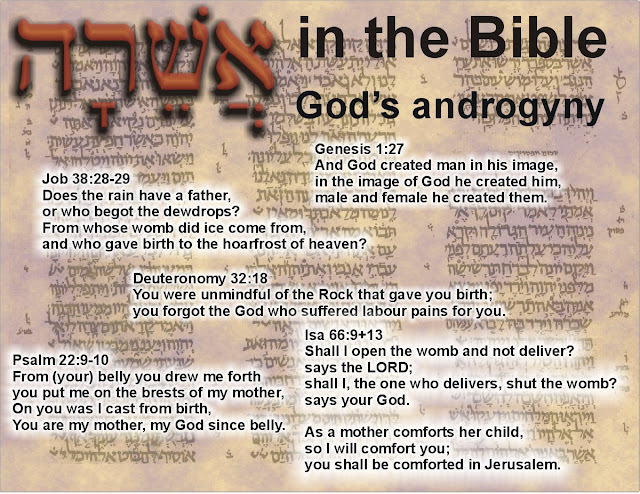 Many times when the Bible speaks about the LORD as “compassionate” it uses a Hebrew word directly derived from the word for “womb”. At the pivotal and formative moment of divine self-revelation to Moses on mount Sinai (Exo 34:6) The LORD passed before Moses, and proclaimed, “The LORD, the LORD, a God merciful and gracious, slow to anger, and abounding in steadfast love and faithfulness...” The first adjective describing God as merciful is a word directly derived from Hebrew word for womb. Just as we can hear the verb “love” behind the adjective “lovely” so would biblical authors speak about “compassion” while clearly hearing reference to the physiological seat of motherly tender and loving care. And in their anatomical ignorance, or psychological wisdom and sophistication, they somehow knew that although it is most pronounced in mothers, this gentle/tender/womby feeling is not biologically gender exclusive. Even the patriarchal God of the Hebrew Bible can have a womb or at least womb-generated emotions of gentle loving-kindness. As we celebrate the Mothers’ Day this Sunday, we will learn how this womb-generated-compassion is essential for maintaining justice and the fostering of life in the most surprising and marvelous manner. And here is a slide from an earlier blog entry from one of the Lenten Lectures on biblical monotheism. Even these may forget, yet I will not forget you (says the LORD).